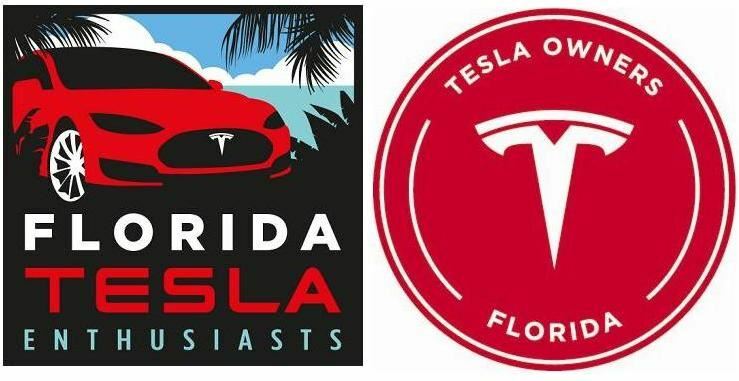 Welcome to the website for the Florida Tesla Enthusiasts social club also known as TESLA OWNERS FLORIDA. The purpose of the club is to have fun, meet, exchange information, educate, and advocate for various electric vehicle related causes. The club is open to permanent or part-time Florida residents who are fans of Tesla vehicles and/or the company. Whereas the vast majority of members own or have Tesla vehicles on order, owning a Tesla vehicle is not an eligibility requirement. Our club has over 600 members enrolled throughout the state of Florida. Our membership is grouped into regions, Southwest, Southeast, Central, Northeast and Panhandle. 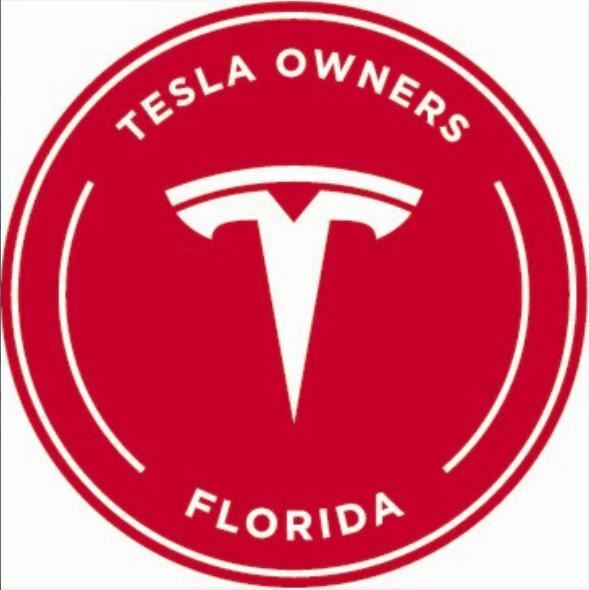 We are a member of the official Tesla Owner’s Club Program and are the only state-wide Tesla sanctioned club recognized in Florida. We organize club events to coincide with official Tesla Motors events and conduct our own independent club events throughout the state. 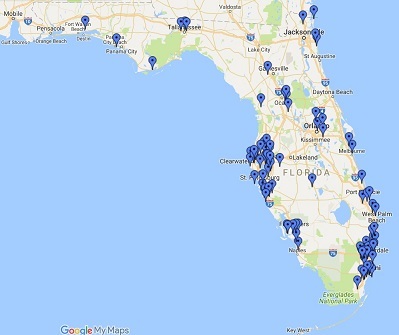 We have established a private Florida Tesla Enthusiasts Charging Network. Our membership is distributed all over the state and this network includes those club members who have agreed to share their home and/or business charging source with other traveling club members who have also agreed to share their home and/or business charging source. We currently have 79 locations that are enrolled in this network. Here's a map of our club charging network coverage. Our annual dues start at $18 per individual or $27 per household for up to three members. Please join our rapidly growing ranks by clicking the button below. Membership enables you to meet with other club members to exchange information, participate in fun-filled and informative events, access our private charging network and support education and advocacy for various electric vehicle related causes. Although there’s definitely a place for those Ludicrously or motor sports inclined, our club is not just your typical “gearhead guys” car club. We are a diverse group and we encourage ALL members of your family to enroll if they are interested in Tesla and sustainable transportation & energy. You can get a taste of our club’s enthusiasm by viewing the slideshow at the top of this web page. Periodically our events are covered by the local media. We are always looking for those individuals with energy to assist us in planning fun-filled and informative events. We are organized into five regions across the state of Florida and if you chose to join us, please seriously consider actively participating in the appropriate events committee for your region. In addition to our social activities, part of our club mission is to advocate for various electric vehicle issues. This involves educating the public and businesses regarding the economic and environmental benefits of electric vehicle ownership. It also involves working with our local and state government representatives and agencies to initiate programs and legislation that promotes electric vehicle adoption. Our club is proud to be a voting member of Drive Electric Florida. Drive Electric Florida (DEF) is a unique stakeholder group representing automakers, utilities, charging infrastructure providers, environmentalists, local government, universities, Clean Cities coalitions and electric vehicle enthusiast groups. It seeks to advance the energy, economic and environmental security of the state of Florida by promoting the growth of electric vehicle ownership and accompanying infrastructure. DEF organized and funded the National Drive Electric Week event in Tallahassee at the state Capitol Courtyard and Rotunda. Our club provided most of the electric vehicles on display at the Capitol Courtyard. The main objective of the event was to gain face-to-face access to our state legislators to promote electric vehicle (EV) friendly legislation. We arranged several meetings with our government representatives and found a number of them receptive to the EV issues that we were endorsing.